I've always hated the fact that when my kids have a sore throat or a cough I couldn't just give them a cough drop because I was too scared they would choke on them. I was sent Lolleez™ to test out and review for you. I jumped at the chance because this line is organic and uses honey instead of other crazy artificial ingredients. My kid's love these throat soothers. I am a firm believer that honey is soothing for colds and allergy season. We've been giving it to our kids for as long as I can remember because it works and we like that it is a natural option. Leave it to a mom to create something that they see is lacking for their kids. Mom of four, Melissa Evans, is a Mompreneur that couldn't find anything to “eez” her kids' throats so the idea for Lolleez™ was born. Lolleez™ is a worry-free, healthier alternative for kids. 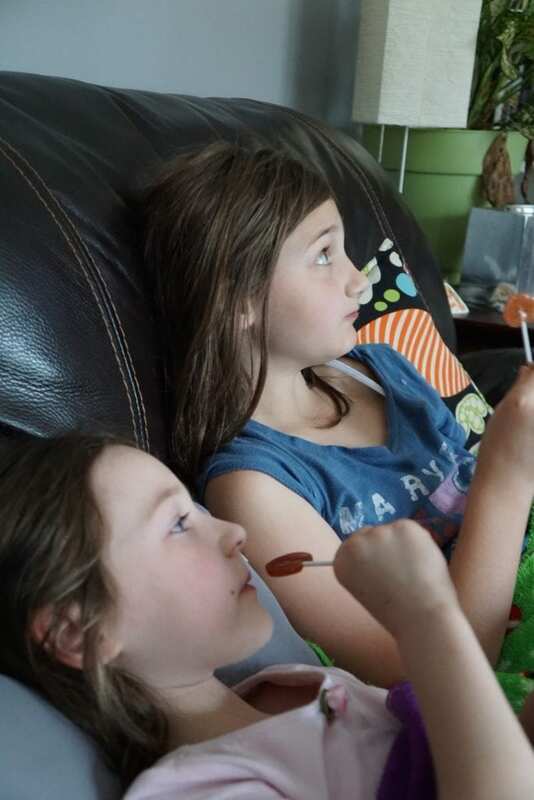 Kids are getting a treat in the form of a flavored lollipop all while soothing their throats. The lollipops are flat as well and pose less of a choking hazard. “Few ailments cause overall unhappiness to both kids and parents like a sore throat. Whether it’s allergies, a cough or a cold, a sore throat is painful. Every time you swallow, it’s there and it hurts,” said Melissa Evans, Lolleez™ Founder. 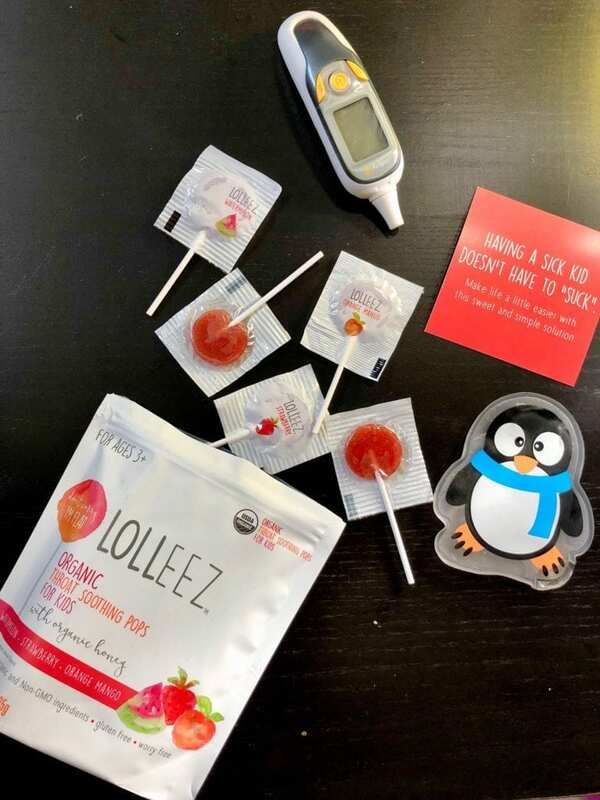 “There is nothing worse than watching your child suffer, so I’m really excited to be able to offer an organic and worry-free throat remedy that can help soothe both physical (child) and emotional (parent) pain, with the launch of Lolleez™. 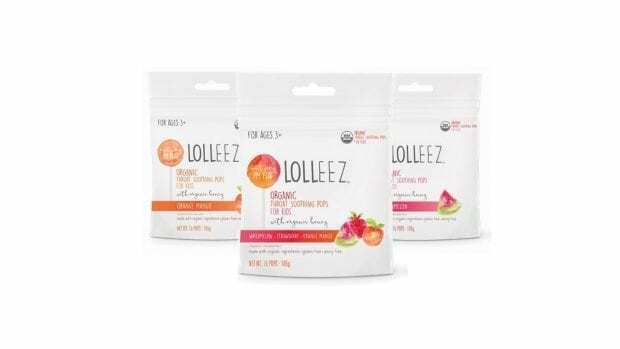 Lolleez™ are made from USDA Certified Organic ingredients and ingredients you can pronounce and understand, like natural fruit pectin and organic honey. They are also Non-GMO as well as gluten, dairy and nut free. They come in three kid-friendly flavors: Watermelon, Strawberry, and Orange Mango. You won't see the regular grape and cherry flavors because the founders surveyed hundreds of kids and found that these traditional flavors have a negative association with medicine. Lolleez™ are now available at CVS, Stop & Shop, and on Amazon and will be available in November at Babies ‘R’ Us. Definitely strawberry here. And usually we go for a lot of rest and snuggles. We make sure to take our vitamins and get a good nights sleep. My grandsons would love the watermelon flavor. One of my tips for staying well during cold/flu season, keep your body hydrated. My would love the strawberry flavor. I swear by echinacea that gets us through the flu season. My little girl would probably love the strawberry. Thank you! I swear by echinacea during the flu season. My little girl would probably love the strawberry flavor. Hand sanitizer, sanitation wipes, lots of tissues, Olbas Oil, and humidifiers are the only way my family makes it through cold and flu season! My two girls would probably like the strawberry flavor the best! My tip is to wash your hands frequently and to not share water bottles in case the other person is sick. My niece would love the watermelon flavor! We make sure that we wash our hands often. I think strawberry would be our favorite! We have a good selection of medicines on hand, but we don’t do very much in terms of prevention. I think the watermelon variety would be their top choice. Watermelon would be their favorite flavor and my tip is to wash your hands frequently and bundle up when outside in the cold. My best tip for getting through cold season is to drink lots and lots of water and to be flexible! My kids would like Strawberry best. We make sure to wash our hands often. I think my kids would like strawberry the best. My best tip is to wash hands and remind everyone to not touch their eyes,nose and mouth with their dirty hands!! My daughter would go for orange, and my son for strawberry. Though both he and I like the medicine grape flavor. Tastes like purple! My kids would love the Orange Mango flavor. And a tip that I use a lot for cold and flu season is to wash our hands all the time and use zinc lozenges at the first sign of a cold. Really works. The watermelon would be a big hit! Lots of hand washing and we use our humidifier now with cedar fever coming on. My son would like the strawberry flavor! We make sure to wash our hands frequently and I disinfect the house often. Strawberry would be the favorite, we do lots of hand washing in the winter to prevent illness. Kids would love the strawberry one. Drink lots of water, take vitamins. Strawberry. We make sure to wash hands ALL the time!! My kids would love the watermelon! My tip for making it through cold/flu season is washing your hands on a regular basis. I think my kids would like the strawberry flavor best. My tip is to wash your hands frequently, take vitamins and drink orange juice.. My son would love the watermelon flavor! My tip is to wash hands as frequently as you can and drink lots of water daily. My grandson would like the Orange Mango flavor. During the cold and flu season we diffuse Thieves essential oil. The kids would enjoy the Watermelon flavor. Of course washing hands often is a great way to cut down on germs, but I also pump up my immune system with natural remedies like elderberry syrup. My tip is to always wash your hands, and keep hand sanitizer on hand as well.They would enjoy the strawberry flavor the most. I have my whole family take doses of colloidal silver and homemade fire cider when they get the sniffles, or have been around a sick person. It works well! I know my family loves anything watermelon flavored, so they’d probably grab those first. It is helpful to have medicine on hand before kids get sick. My kids would like Orange Mango. I think my children would like the orange mango flavor. My daughter would like strawberry. My tip is to stay away from crowded places during flu season! My kids would love strawberry flavor. We wash hands frequently and drink a lot of water to help. My kids would like strawberry. I am just getting over a cold and sore throat. I keep lozenges by the bed because I always wake up in the night with a scratchy tickly throat. My tip to wash the hands often. My son would like the strawberry flavour the most. Strawberry and watermelon sound good! I am a firm believer in frequent hand washing! We get through the cold and flu season by getting our flu shots, taking our vitamins and stocking up on tissues and medicine. we would like the orange mango. My top is to constantly wash your hands. There are germs everywhere…, especially on our cell phones. Ewww! I also drink alot of Echinacea tea during the winter season. Its great for your immune system. Strawberry flavor definitely would be a favorite. Hydrate, eat right, stay away from sick people. Strawberry would be the favorite here! I think my Granddaughter would like watermelon flavor. Drink extra fluids in the Winter. I think my kids would like the orange mango! My tip is always keep some cheap entertainment and popsicl s on hand for those sick days. Always carry hand sanitizer and wash your hands. Carry Clorox wipes and clean the shopping cart before using. y daughter would probably like the strawberry. Always drink lots of water! My kids would like the watermelon flavor the best! I double up hand washing , plenty of rest and fluids. Watermelon would be their favorite. We live on soup and drink lots of water! My tip is to limit going to crowded places especially with small kids. I always try to pick the least busiest time to go shopping. I think my kids would love the strawberry flavor. My kids would love the strawberry and we do lots of washing of hands and soup, and hugs. Keeping hydrated, and lots of rest, and I think the strawberry would be the flavor my kids would like the most! Lots of Vitamin C…on that note Orange seems a good choice. Watermelon would be our favorite flavor. Get lots of rest, drink lots of water and wash hands frequently. My son would love the strawberry flavor. My tip is to wash hands regularly and staying hydrated.